The “Internet of Things” isn’t coming. It’s already here and spreading at a pandemic pace that’s shaking the foundations of nearly every industry. That, in turn, is creating huge opportunities for local entrepreneurs and investors, and for students at the University of New Mexico, where the School of Engineering is now launching a new IoT master’s-level specialization backed by a novel, high-tech research and development lab. Graduates will find good-paying jobs waiting for them in companies such as Vizzia Technologies, a Santa Fe-based startup that’s harnessing cutting-edge IoT technology to modernize the way hospitals and clinics track and monitor everything they do. Vizzia is now partnering with UNM to build the new R&D lab in the Department of Electrical and Computer Engineering, providing internships and potentially future jobs, said Vizzia founder, President and CEO Andrew L. Halasz. But, to harness that potential, companies like Vizzia need an educated workforce that can design, test, install and manage the sensors, networks and data that make IoT possible, said Greg Heileman, UNM associate provost, and professor of electrical and computer engineering. In essence, the Internet of Things refers to smart devices, or sensors, that track and monitor virtually everything in real time with instant data transfer through the internet for storage and analysis on cloud-based systems. That can enable instantaneous and often automated responses, whether it’s turning things on and off, opening and closing something, or alerting people or other machines about what’s going on and how to respond. Those systems are rapidly being deployed in everything from cars, planes and factories to health care and consumer devices. It’s the basis for emerging smart homes that automatically control temperature or appliances, smart grids that instantly manage shifts in electric generation and distribution, and future self-driving cars. Companies like Vizzia are showing how such technologies can be deployed to modernize things like the health care industry, said UNM School of Engineering dean Joe Cecchi. The company, which launched in 2005 in North Carolina, moved to New Mexico in 2014. Halasz, a mechanical engineer who graduated from UNM, saw an opportunity to help hospitals and clinics cut waste and inefficiency in managing equipment, supervising and scheduling personnel, tracking patient care, and monitoring the refrigeration of medicines, blood and human tissues. The company deploys sensors equipped with real-time location systems, radio frequency identification and Wi-Fi to track and monitor everything. It manages the networks, data storage and analytics to provide real-time alerts and information to hospitals as needed. And it offers management modernization plans based on its data analysis for hospitals to improve operations. Vizzia has systems deployed in nearly two dozen hospitals and clinics nationwide. The company, which employs 20, is backed by the New Mexico Angels. Vizzia won a $36,000 grant last year from the Venture Acceleration Fund, a Los Alamos National Laboratory-backed program administered by the Regional Development Corp. 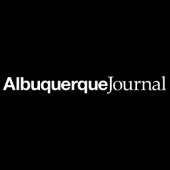 The company used the funds to help establish its new partnership with UNM, begin building the planned IoT lab and hire the first six student interns for research projects. Apart from mutually benefitting Vizzia and UNM students, the IoT lab and master’s specialization could attract more high-tech companies to New Mexico while providing support to local startups applying Internet of Things technology in different industries, said Michael Devetsikiotis, chair of the Electrical and Computer Engineering Department.